When Gary and Diane Shoemaker purchased Schultz Power Equipment from its former owner in June of 2004, they knew some work had to be done. 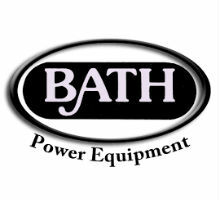 Started in 1974, the business had a good reputation as the local Outdoor Power Equipment service dealer in Beloit, WI, but its company policy was to only work on the equipment they sold. The business was also run on outdated, custom-built software which limited the ability to manage store operations effectively. With some upgrades in technology, hiring their sons Jeff and Greg as managers, and placing a new emphasis on the level of service they could provide, the Shoemakers have grown the business with the necessary people and tools in place to run the business at a high level. We recently spoke with Jeff Shoemaker, the Parts and Accounting Manager, to discuss the success of Schultz Power Equipment. You’ve made a lot of enhancements to the business since your parents purchased it 10 years ago. How has that helped your business thrive? Jeff: “In the time my parents have owned the business, we’ve worked hard to improve the infrastructure. We added a new telephone system and a new computer system. 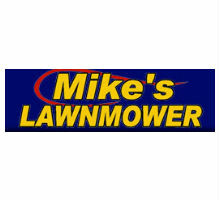 We have also expanded our service lines and work on pretty much everything in terms of walk mowers, snow blowers, riding mowers and garden tractors. The only hand-held line that we service is Stihl. We are also the preferred service center for the local Menards store, which deals with a lot of MTD products. You mentioned that you made big changes in the dealership’s service policy by working on almost all OPE equipment. In what other ways have you set your service department apart from the competition? Jeff: “Our service department definitely sets us apart from the competition. 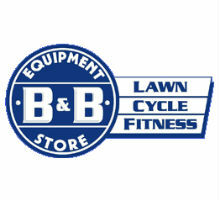 We have the local big-box stores that will sell that new piece of equipment to you in a box. Our product is completely set up along with fuel and oil and ready for operation. 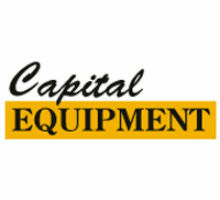 We test run the equipment and instruct the customer on how to operate their equipment. We also go the extra mile and register the warranty for the customer so they don’t have to worry about it. In the event that the customer has an issue, we will get the product into our shop right away and get it resolved. Being family-owned and operated also sets us apart. My parents own the business, I am the parts and accounting manager and my brother, Greg, is the service manager. We all work well together and with our ever-growing customer base, customers trust and depend on our abilities to keep their equipment in good working order. A lot of our customers are second generation and a lot more come from referrals from loyal customers. You mentioned adding a new computer system when you took over the business. How does having an industry-specific business management system help you on a daily basis? Jeff: “I utilize pretty much every aspect of the software. We use it for ordering, purchasing, work orders, sales orders, and inventory control. As a manager, you need to know key metrics of your business. What data do you look at on a regular basis to get the best overview of the business? The reports you’ve mentioned help you make key decisions. How do you gage what is a good metric or bad metric when looking at a report, and how soon do make decisions based off the analysis? Jeff: “Obviously these reports only mean something if the data is entered on a consistent basis. If it is only done once in a while, then you will only know what is going on once in a while. The Lost Sales and Non-Stocked Sales reports help a lot in the fact that you can’t sell something if you do not know that the customer is even inquiring about it. Also, if you are selling it and you seem to always be out of stock, the system won’t know that you want to keep an item in stock unless you use that data to adjust your min and max stocking levels. What advice do you have for other dealers when it comes to setting up and measuring key metrics in your dealership? Jeff: “There’s a lot of different reports out there and every one of them is important for at least one, if not multiple areas of your business. It’s important to go over each report in your business software and see what the numbers tell you and how you can utilize your data to improve your business. Ideal had Bob Clements speak at their last software training seminar and he preached to us about the key metrics you should be measuring in your business. Without knowing that key data, you have no clue how you’re doing.